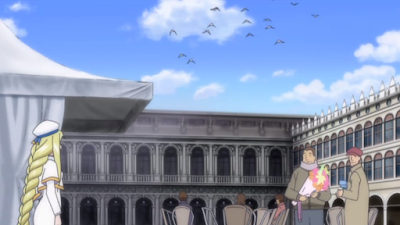 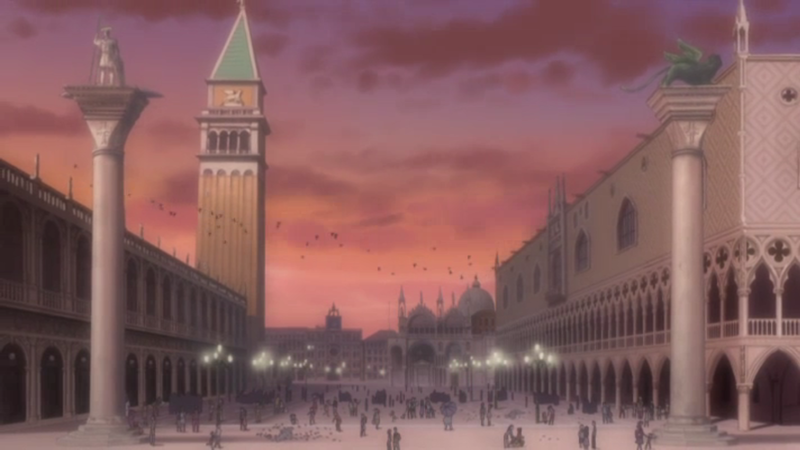 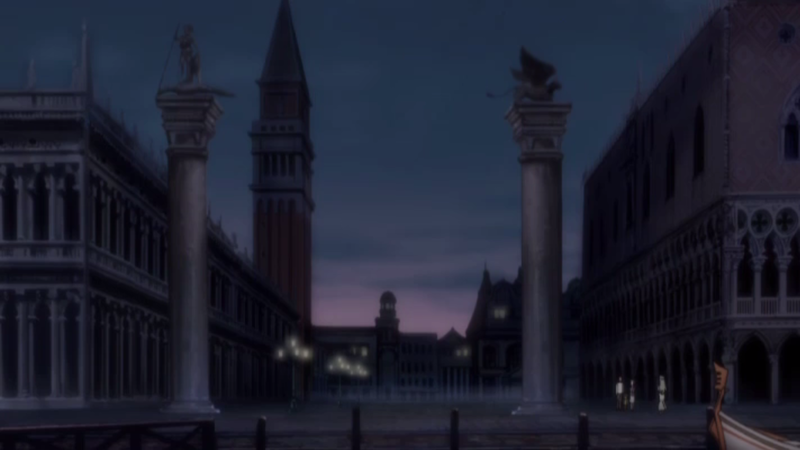 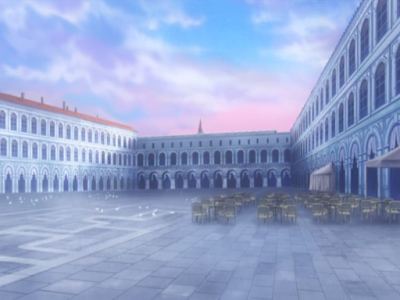 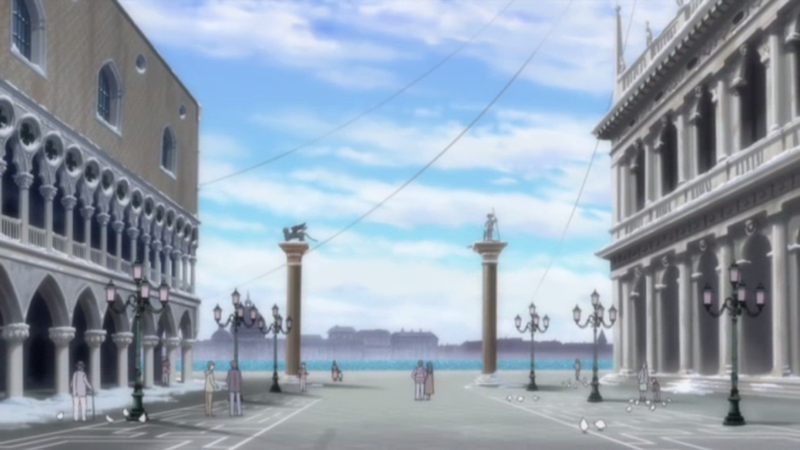 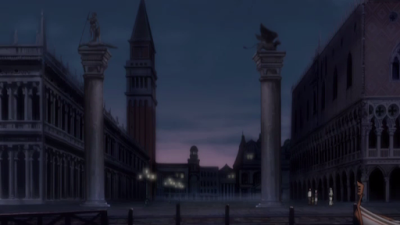 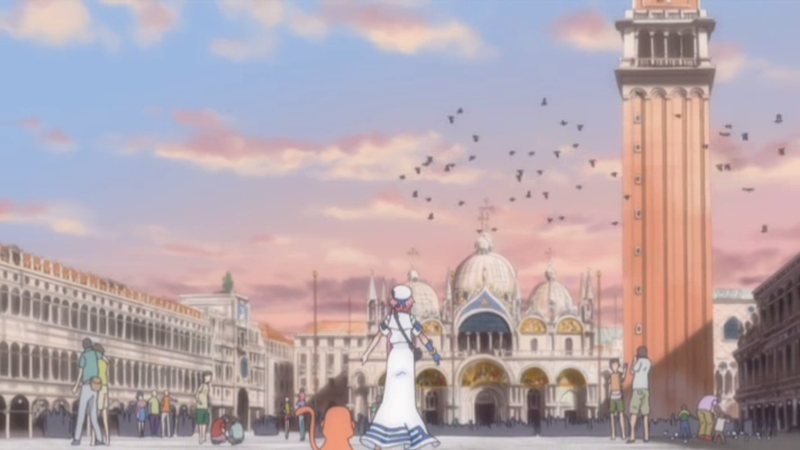 Saint Mark's Square is of course one of the places in Venice that's seen the most in Aria. 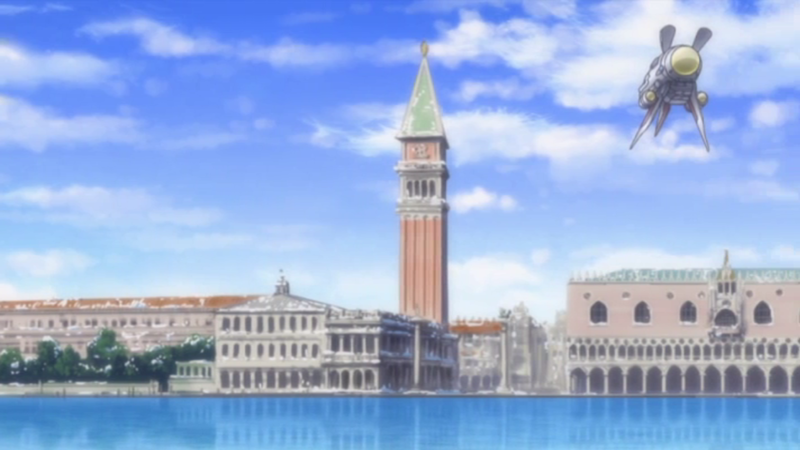 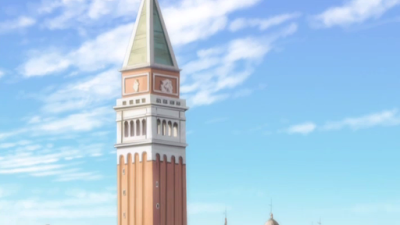 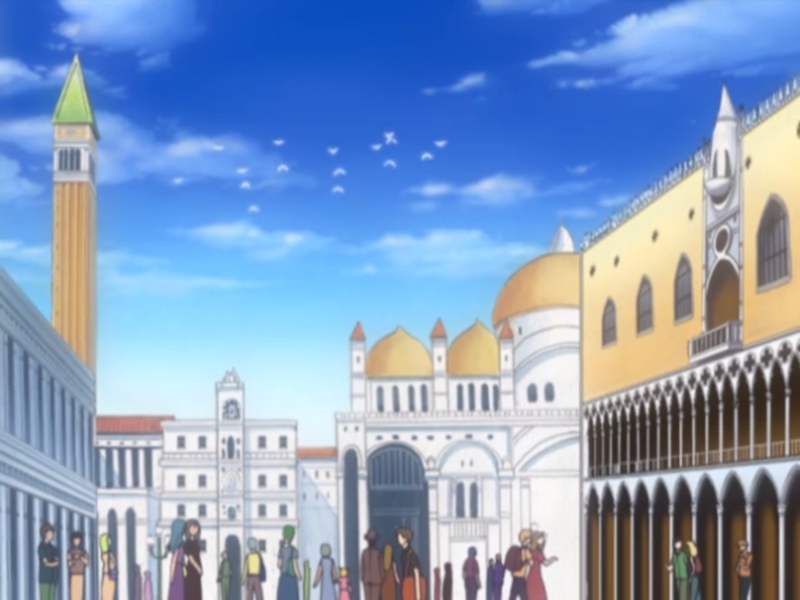 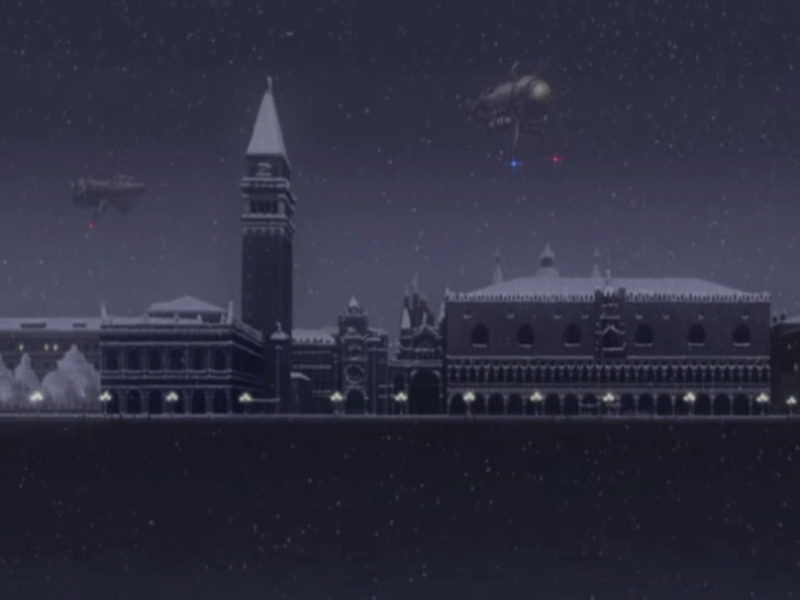 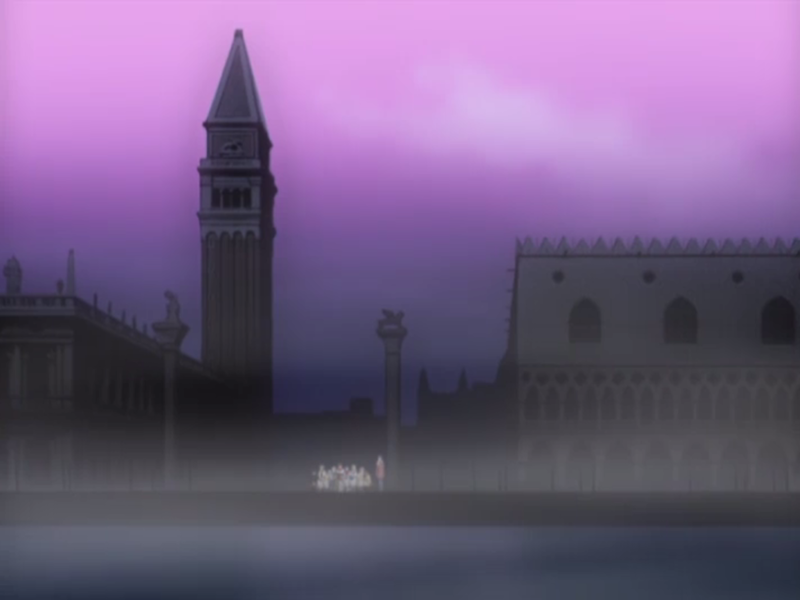 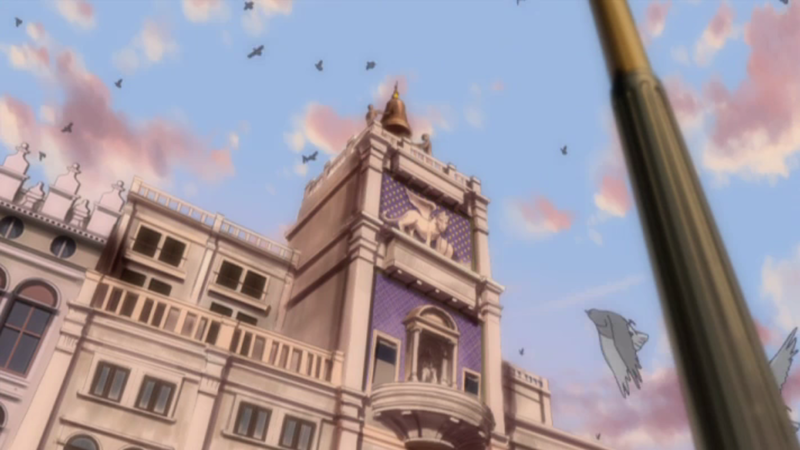 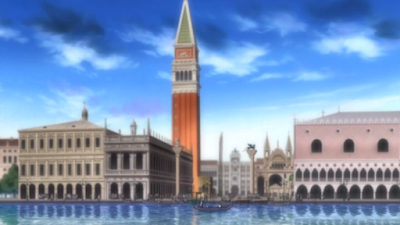 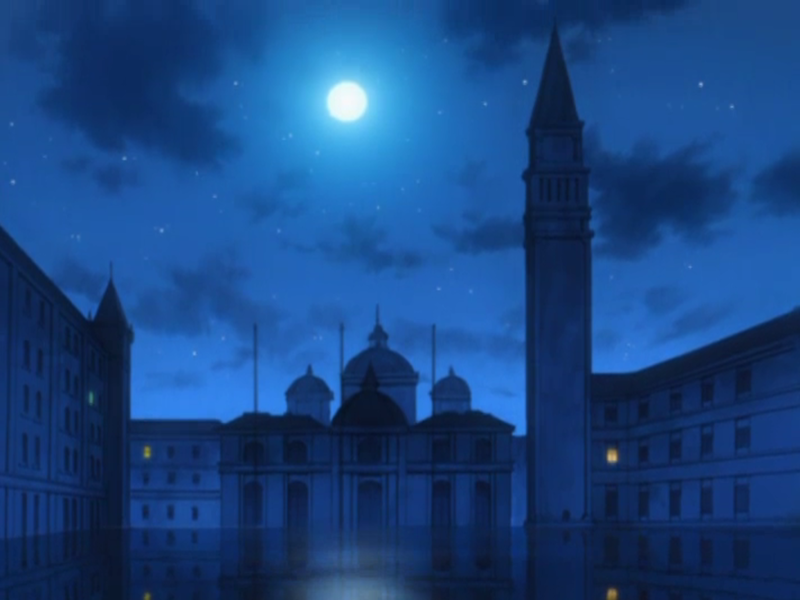 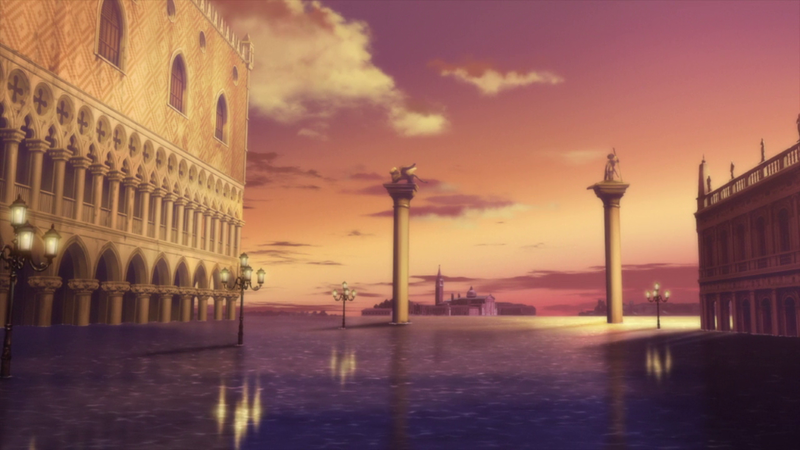 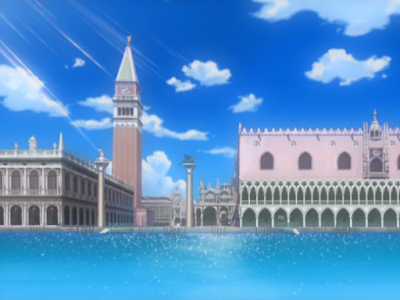 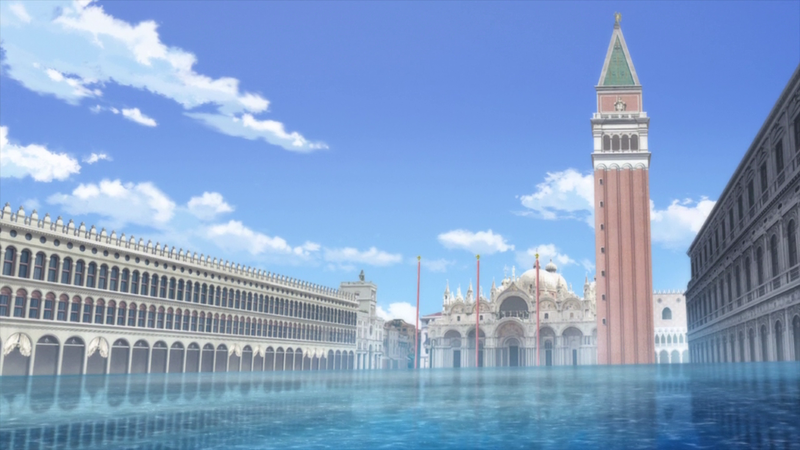 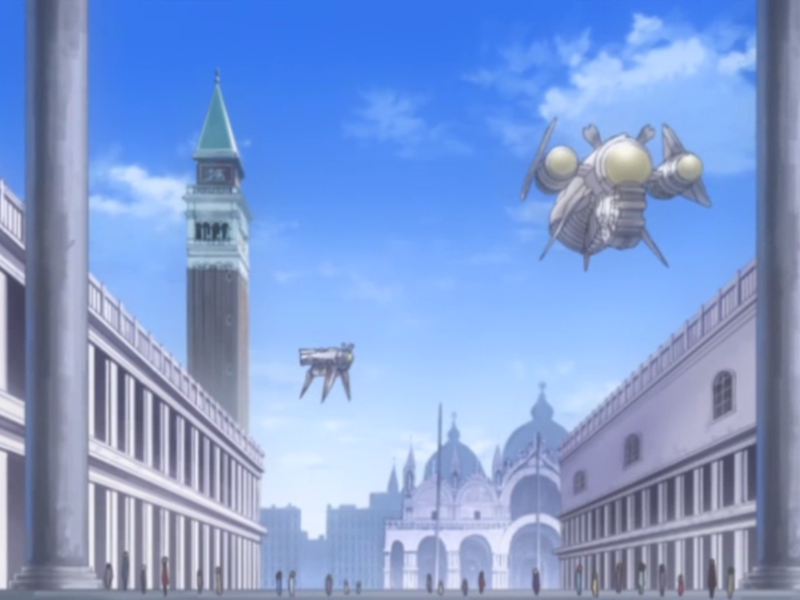 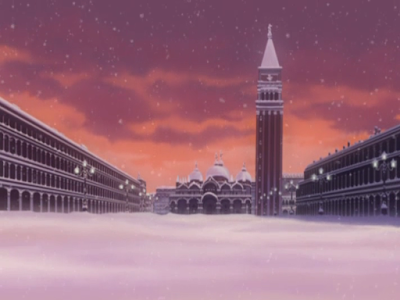 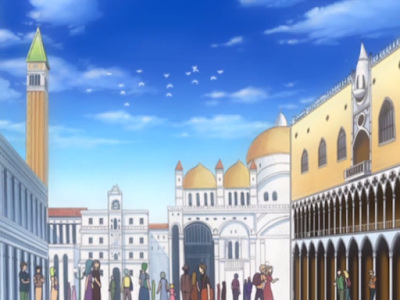 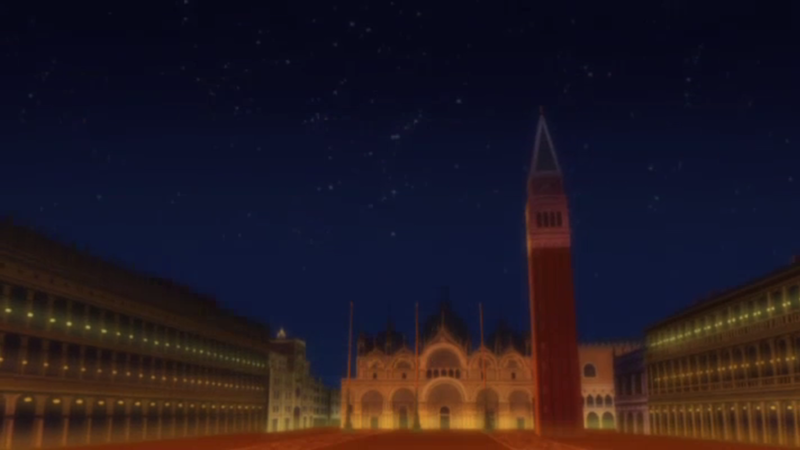 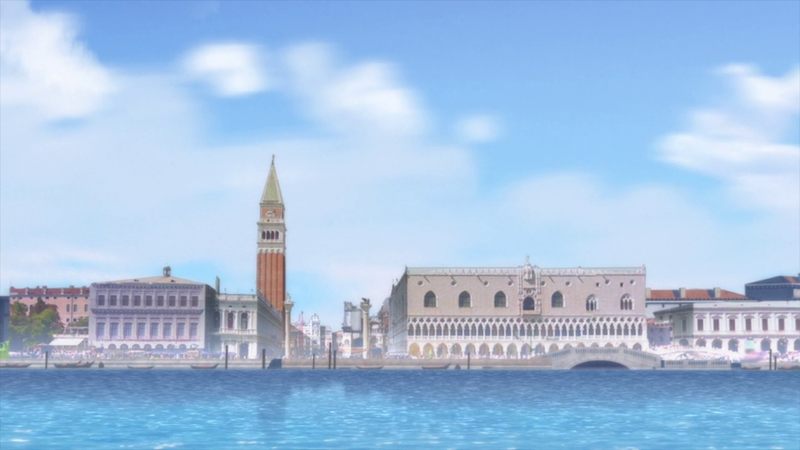 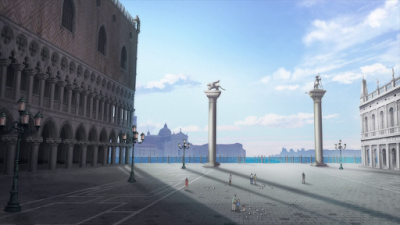 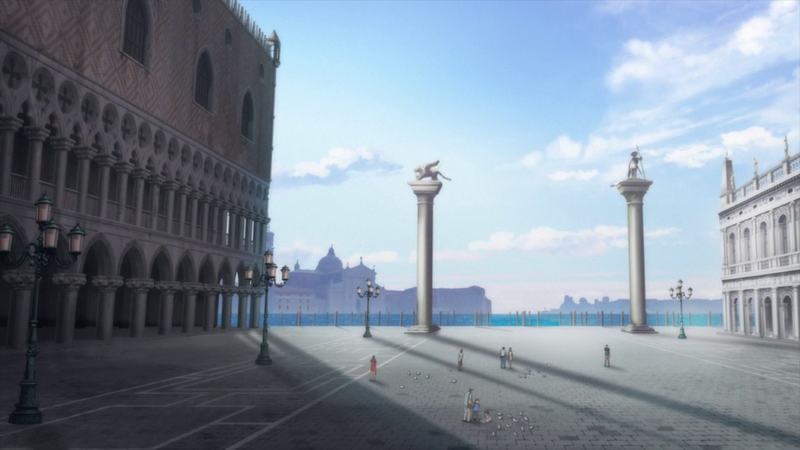 The typical shot of Saint Mark's Square with Saint Mark's Basilica and Saint Mark's Campanile in the middle seen in every season of the show. 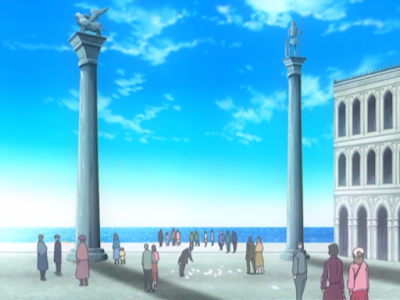 Reverse view which is not shown as often. 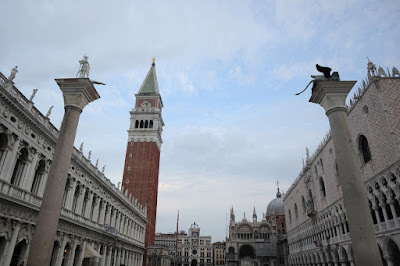 View towards the sea from near Saint Mark's Campanile. 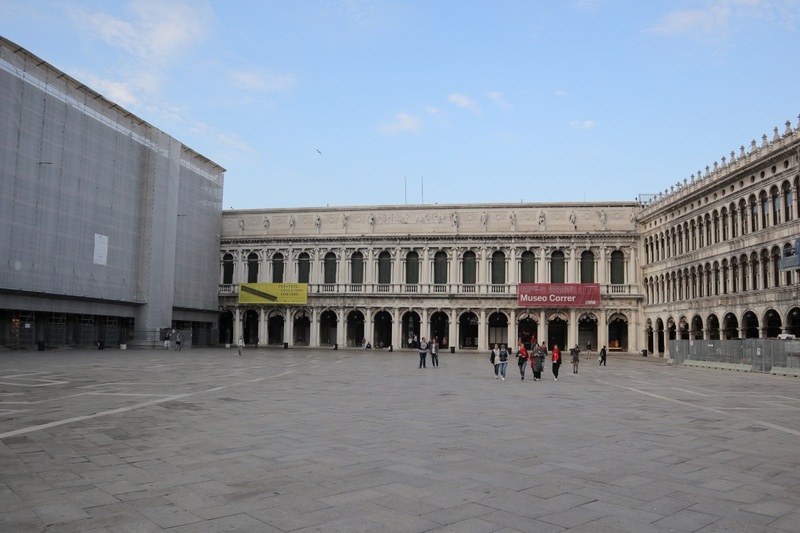 On the left here is the Doge's Palace, on the right the National Library of Saint Mark's and in the middle two columns. 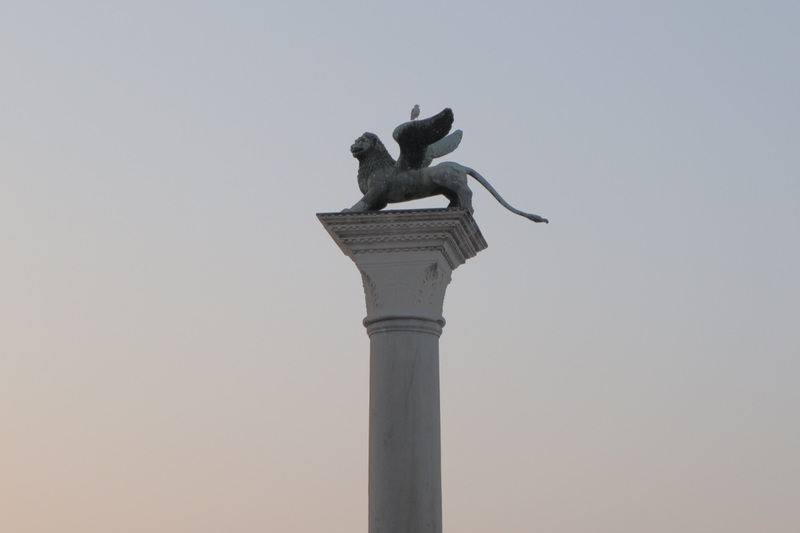 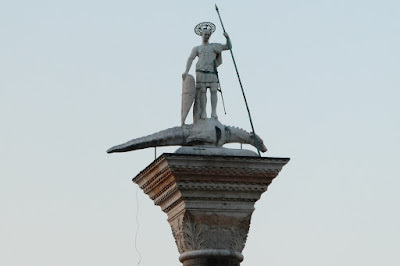 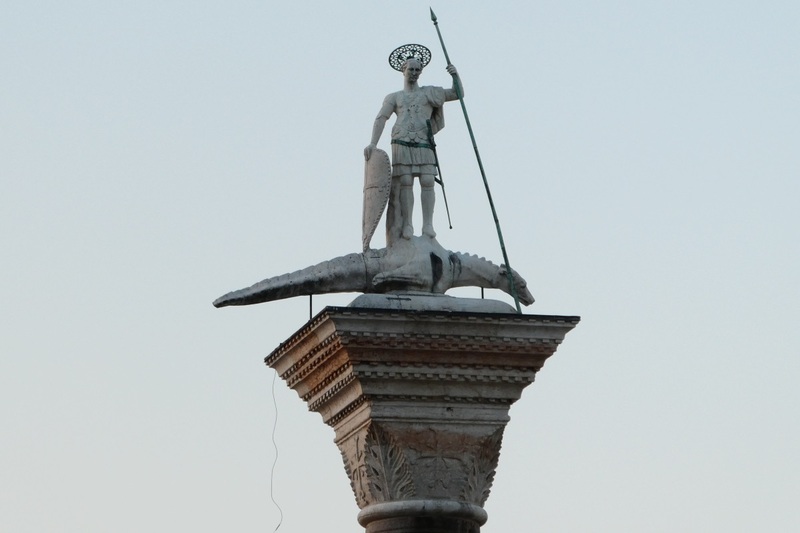 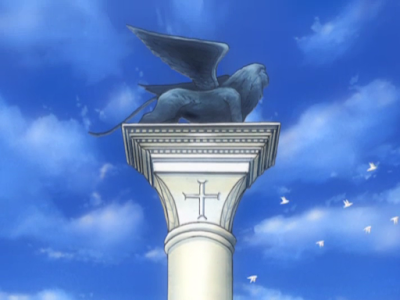 On top of the eastern column is the Lion of Venice. 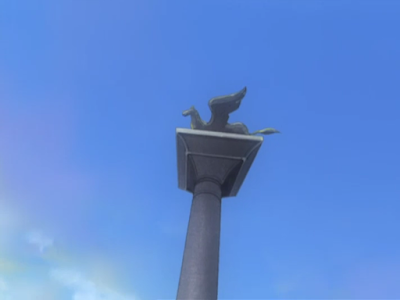 And on the western column is a statue of Saint Theodore. View from the columns towards the Campanile and Basilica. 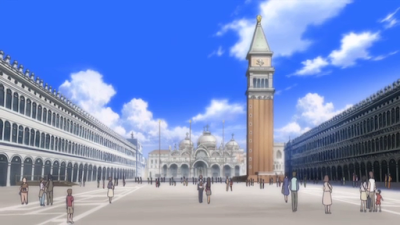 If you look closely between the Campanile and Basilica here you can see Saint Mark's Clock Tower. 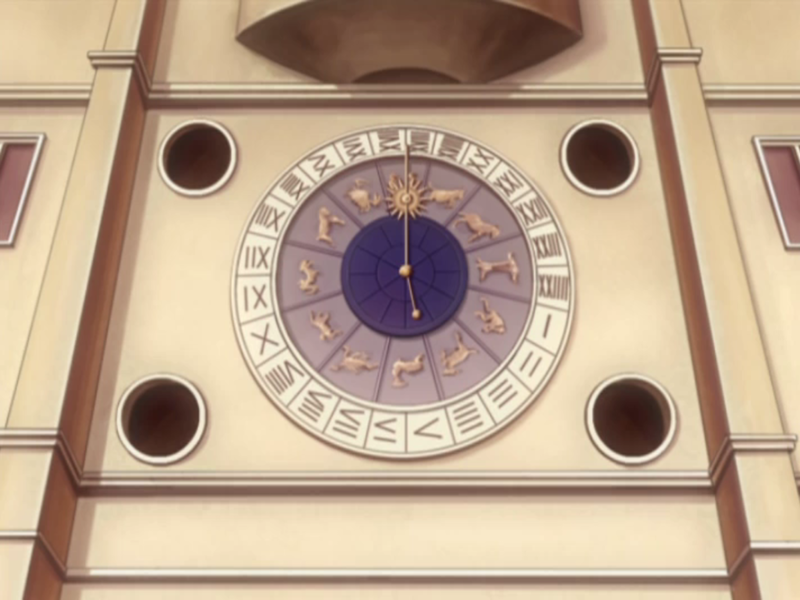 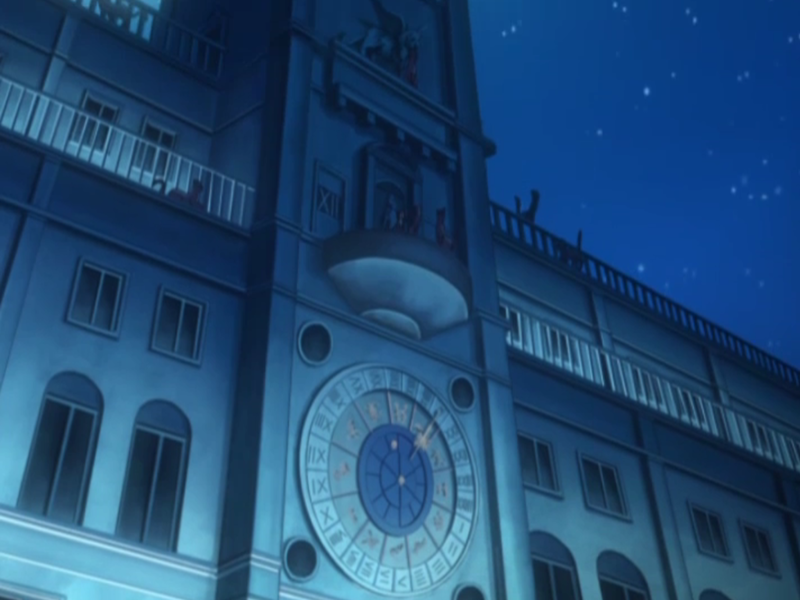 Closeups of the clock tower. Back near the columns there's lots of gondola docks. 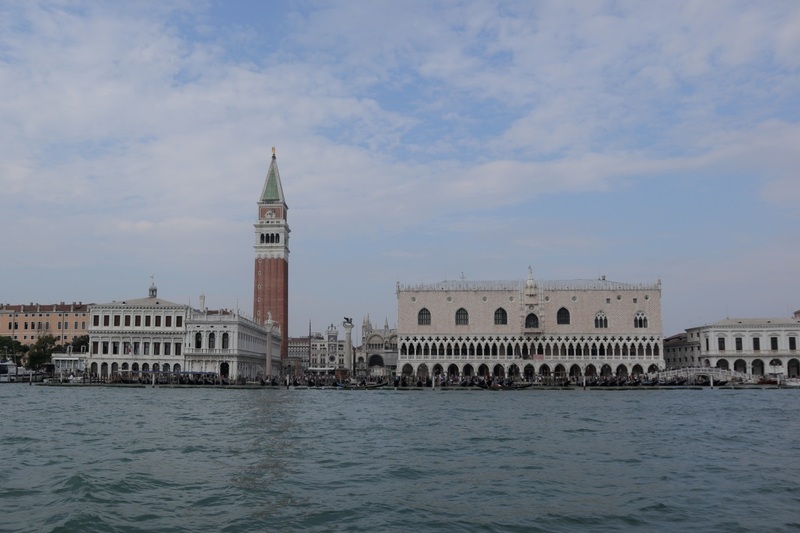 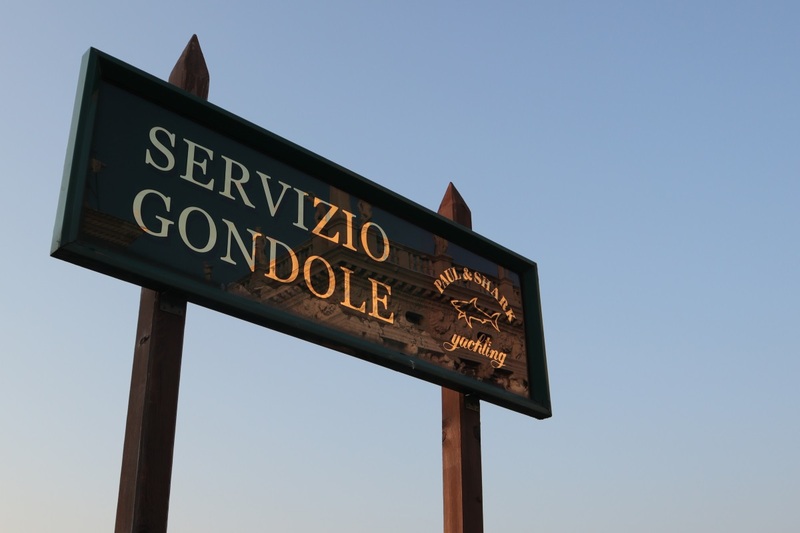 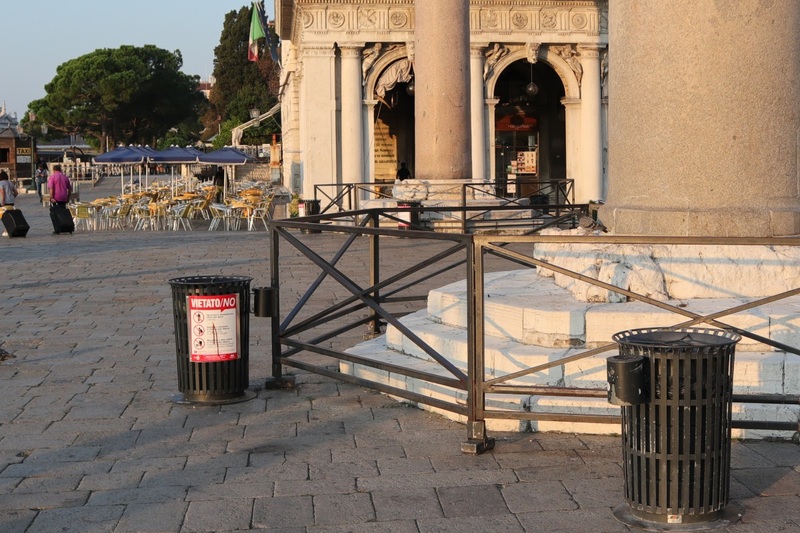 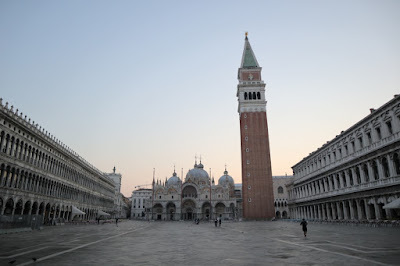 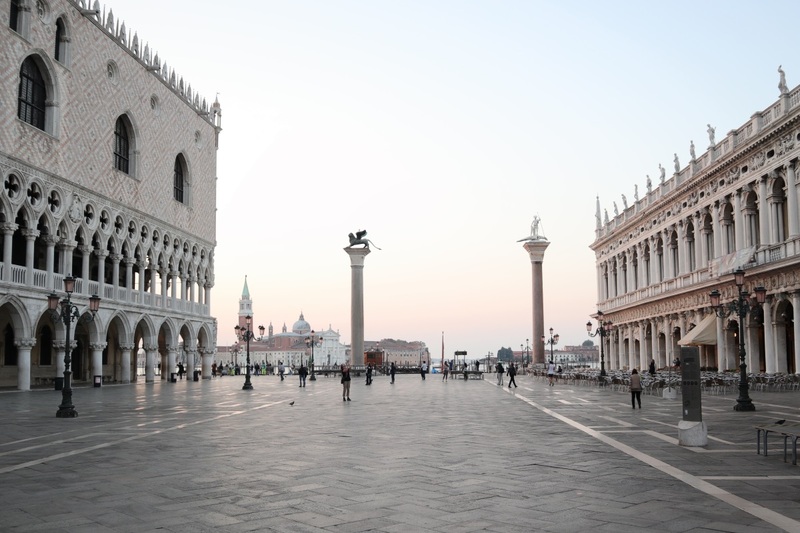 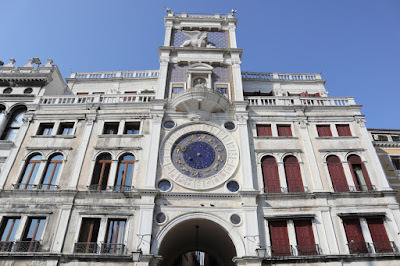 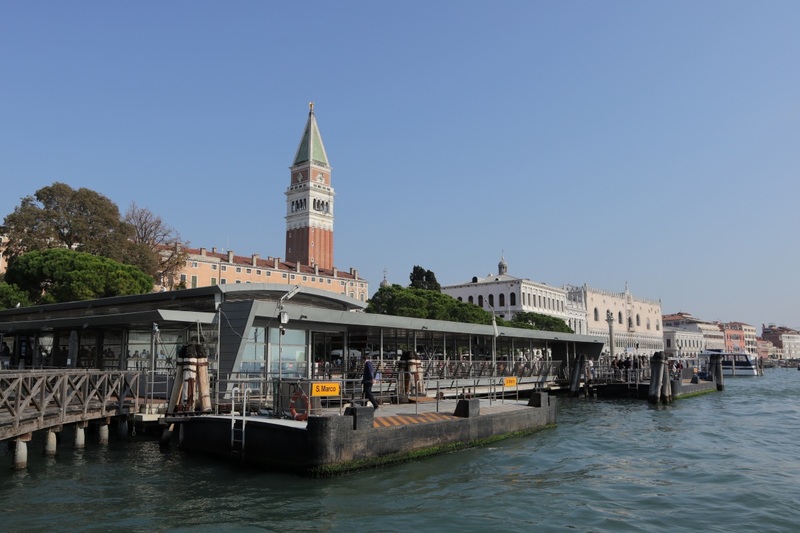 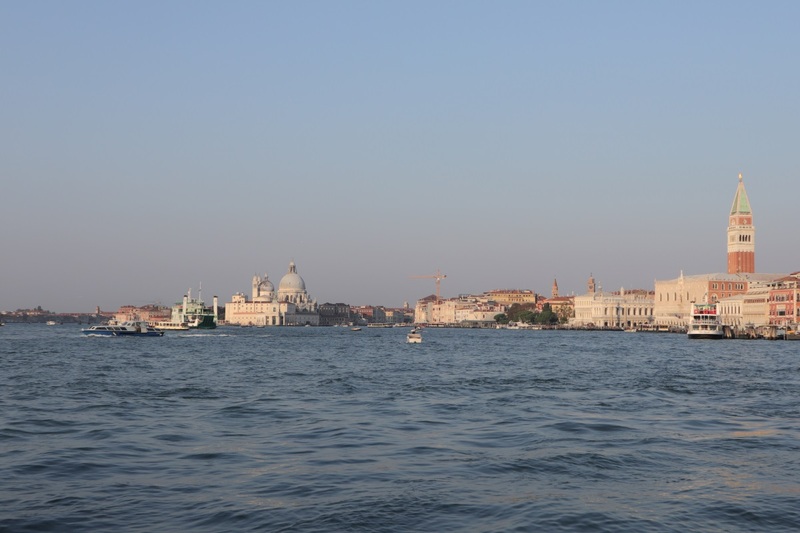 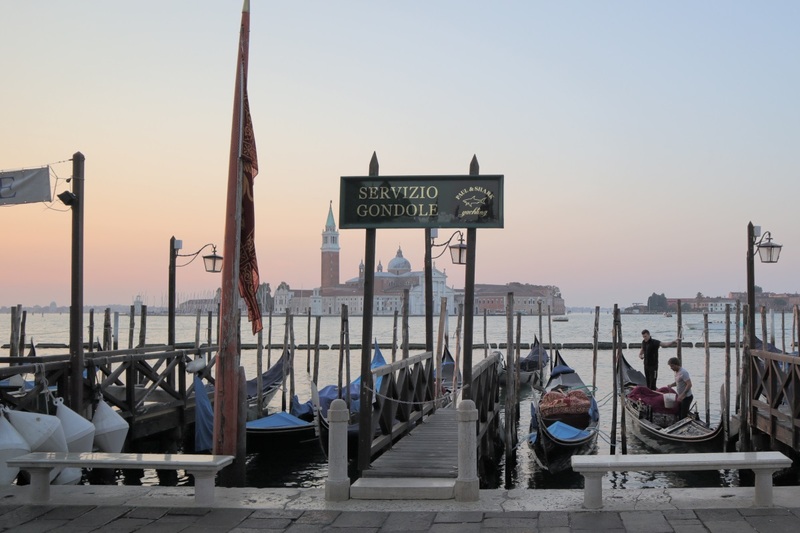 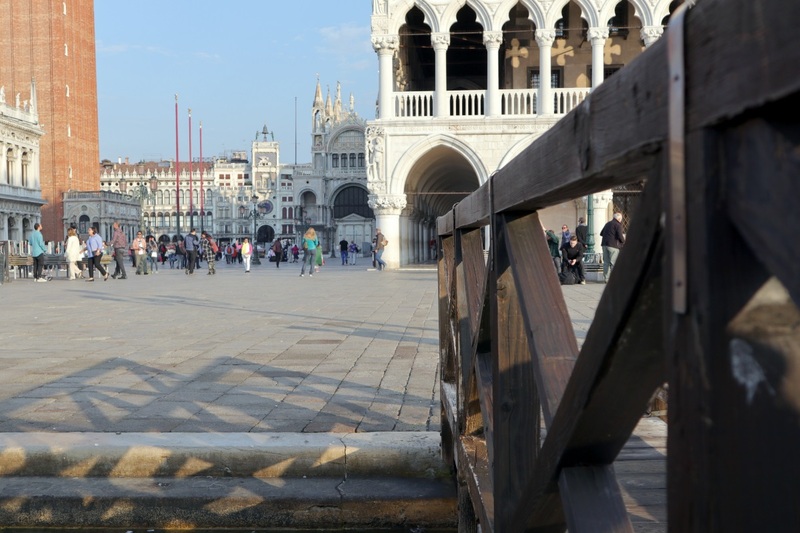 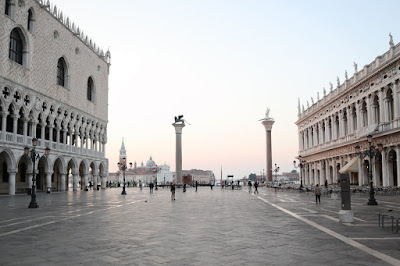 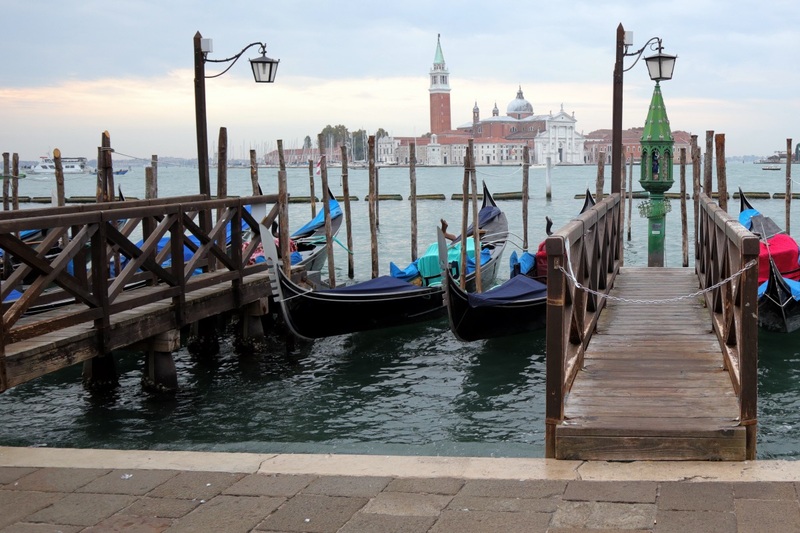 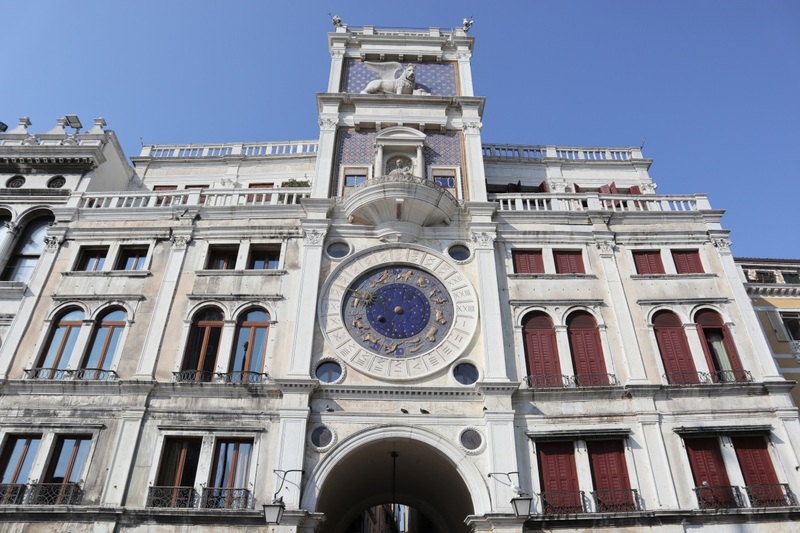 The area of the sea in front of Saint Mark's Square is called Saint Mark's Basin. 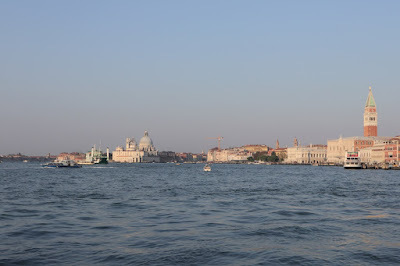 In the background here you can also see the island of San Giorgio Maggiore. 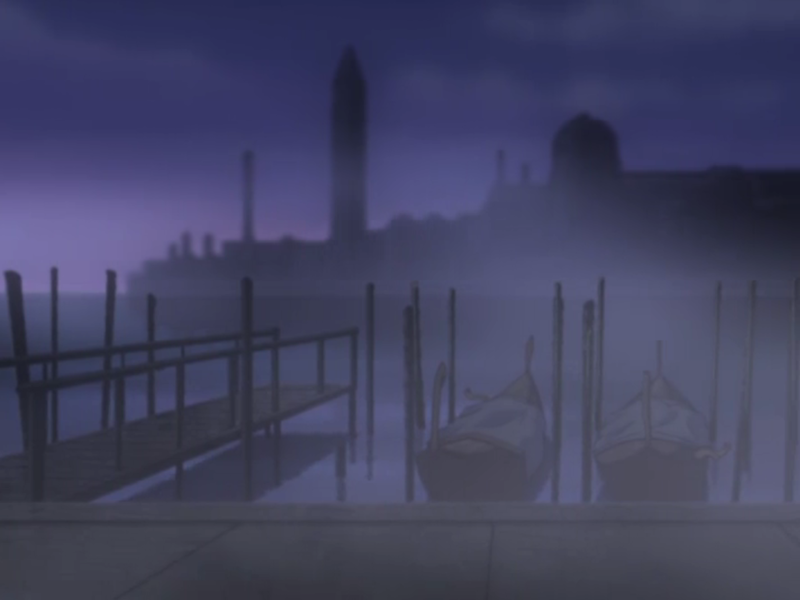 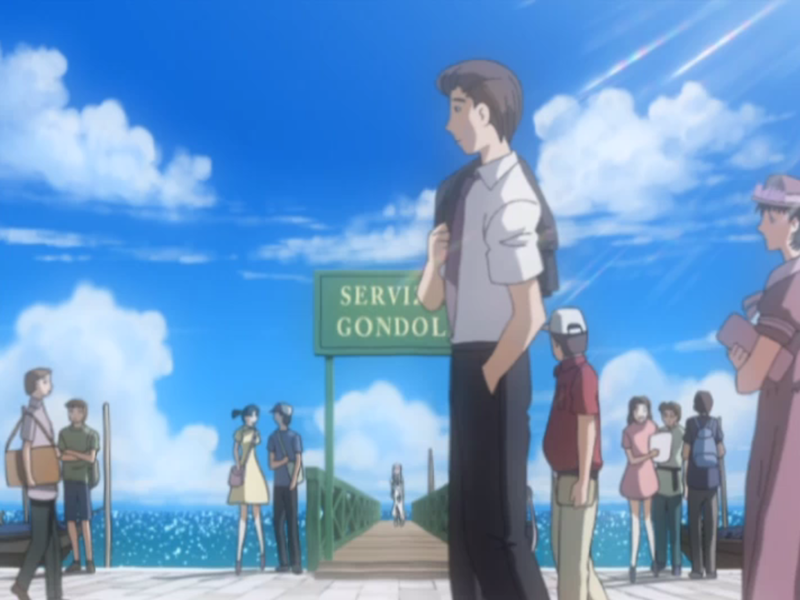 Akari at one of the gondola docks. 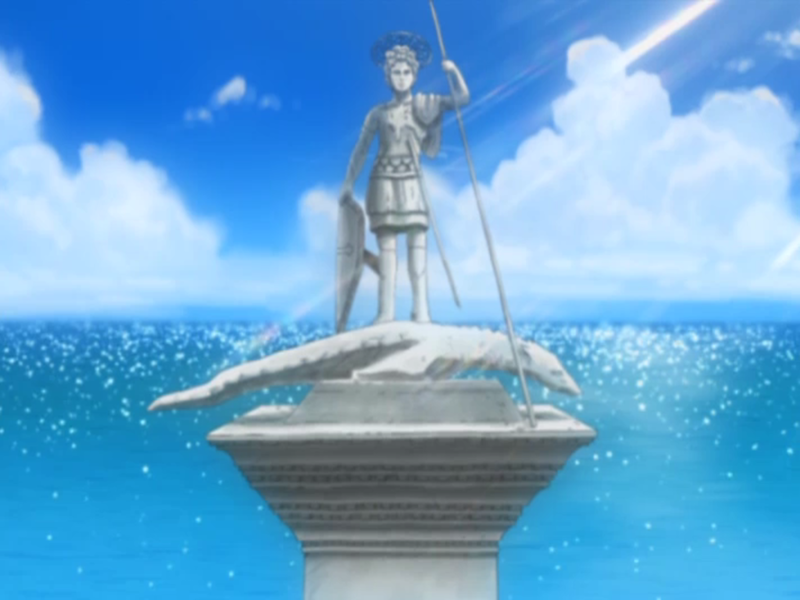 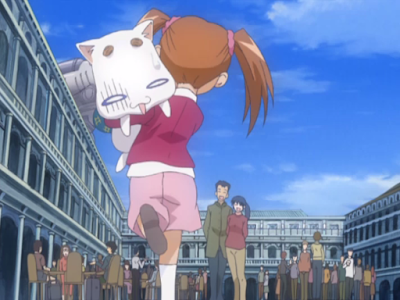 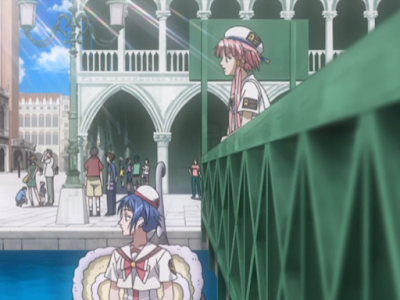 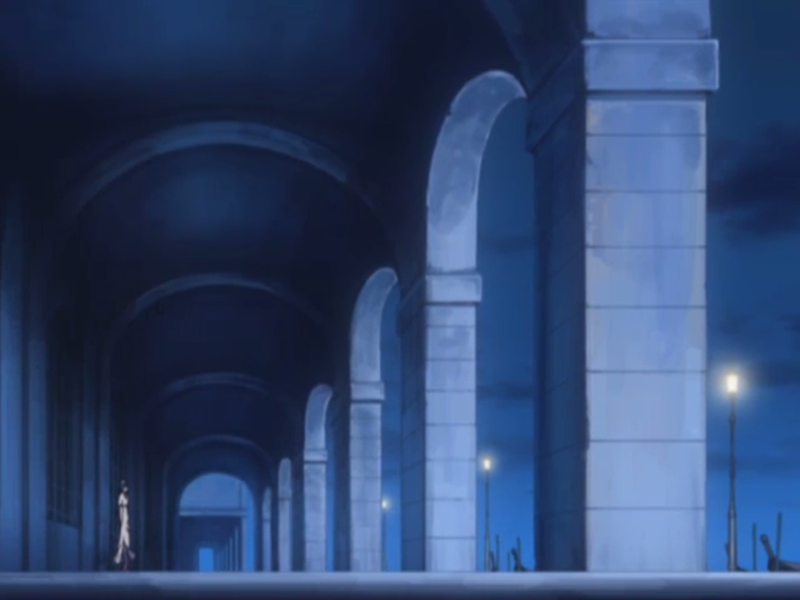 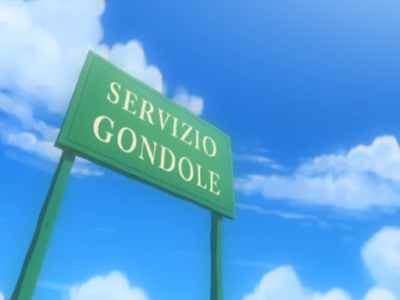 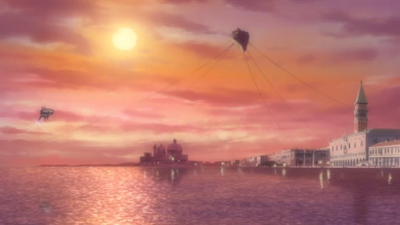 This is where Akari spots a certain woman. Aika tells Akari a ghost story. 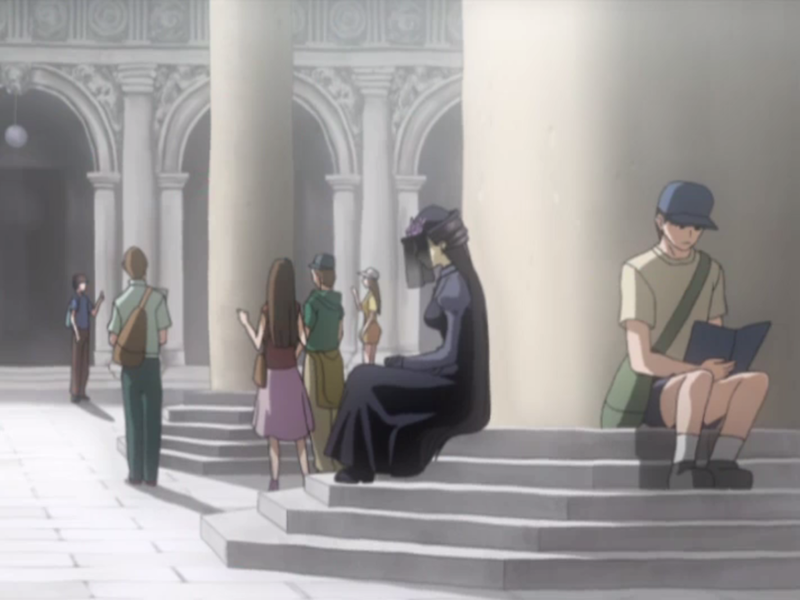 Before Alice joins them. 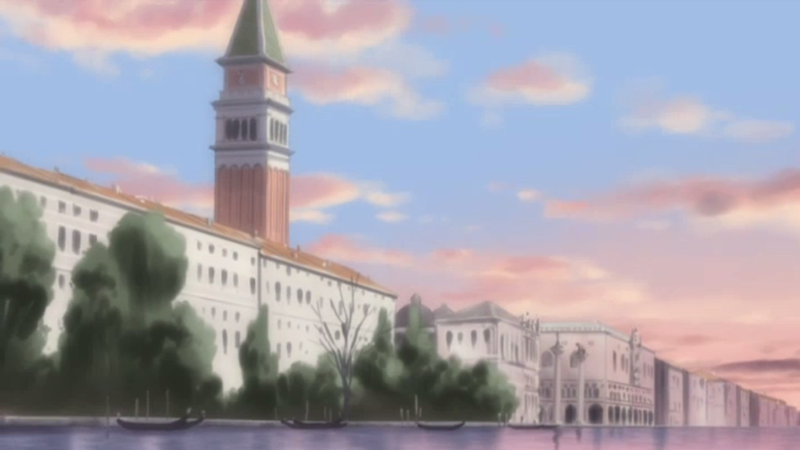 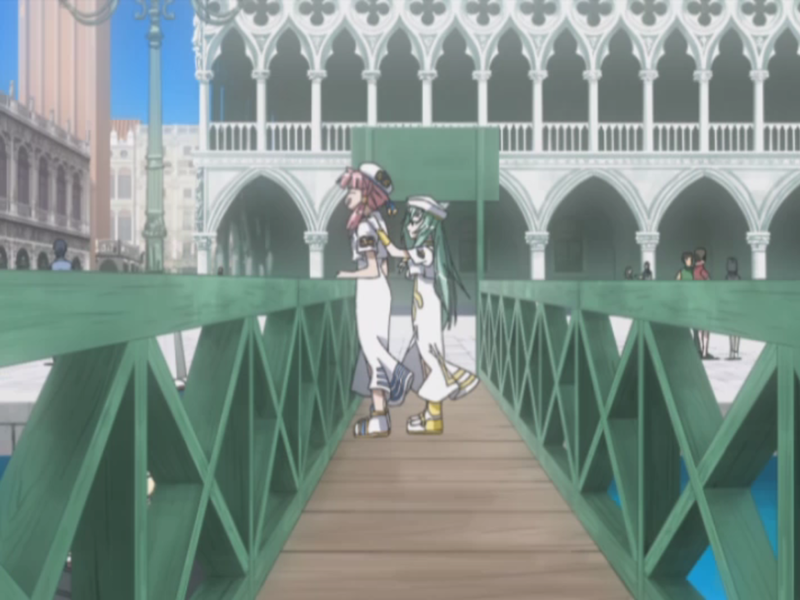 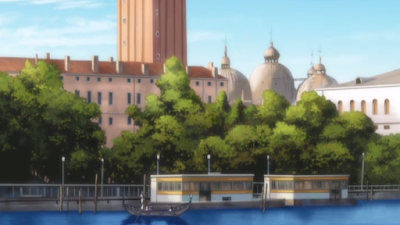 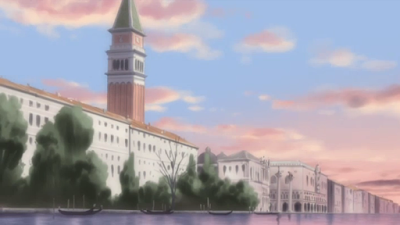 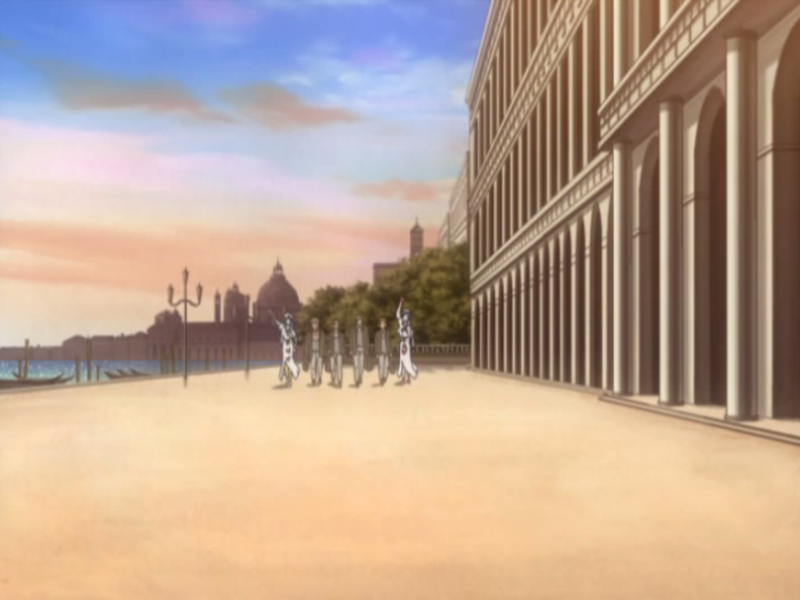 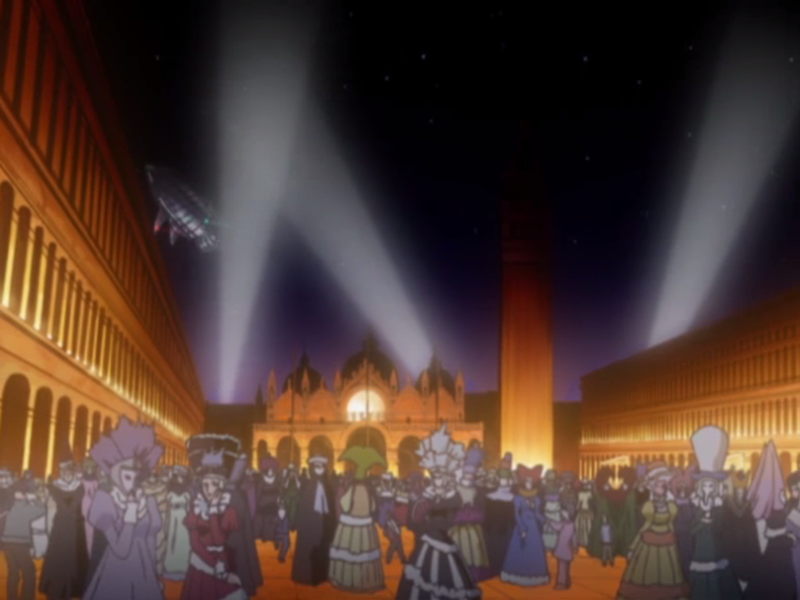 In the background on the right here is the Doge's Palace. 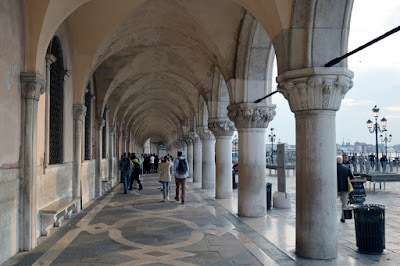 Walkway underneath the arches in front of the Doge's Palace. In the other direction where the National Library of Saint Mark's is located. Further along this path is the Saint Mark's Square water bus stop. 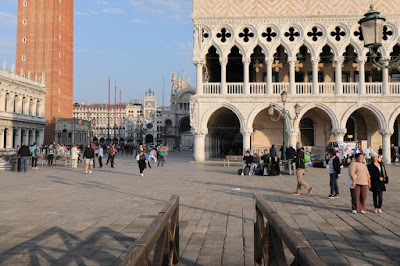 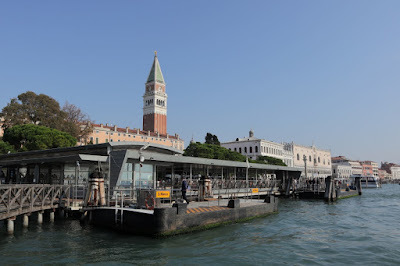 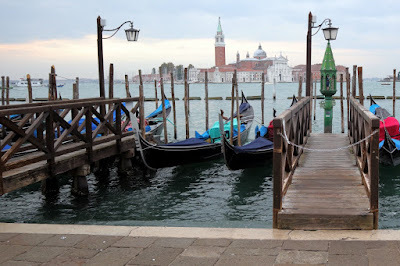 You can see the Saint Mark's Square water bus stop in this picture. 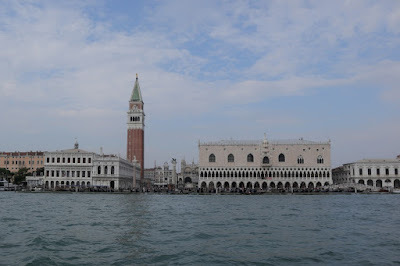 Saint Mark's Square as seen from Saint Mark's Basin. And a view from even further away. 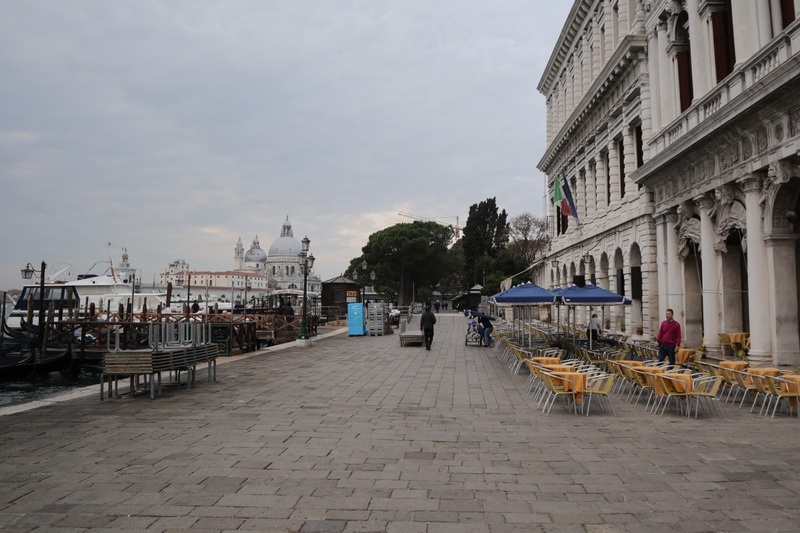 The sea here leads into Saint Mark's Canal and then Saint Mark's Basin.